Practice limited to consumer and business debtor bankruptcy law, 1998 to present. Practice limited to consumer and business debtor bankruptcy law, 2003 to present. Practice limited to consumer and business debtor bankruptcy law, 2008 to present. Real estate law, 2007 to 2008. Practice limited to consumer and business debtor bankruptcy law. Practice limited to consumer protection, including representation of consumers in lawsuits against debt collectors, creditors, and other businesses, both individual and class actions, 2005 to present. Practice limited to consumer and business debtor bankruptcy law, and consumer protection, 2016 to present. Practice limited to consumer and business debtor bankruptcy law, 2016 to present. Licensed to practice in NC. Licensed to practice in NJ. 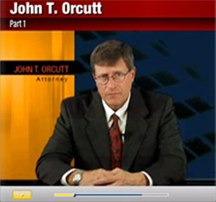 Licensed to practice in PA.
Consumer bankruptcy cases for individuals under Chapters 7 and 13; legal research and analysis regarding bankruptcy matters; appellate matters before state and federal courts concerning issues of importance to bankruptcy law and procedure at the state, regional, and national levels. Practice limited to consumer debtor bankruptcy law, and consumer protection, including representation of consumers in lawsuits against debt collectors, creditors, and other businesses, 2011 to present.